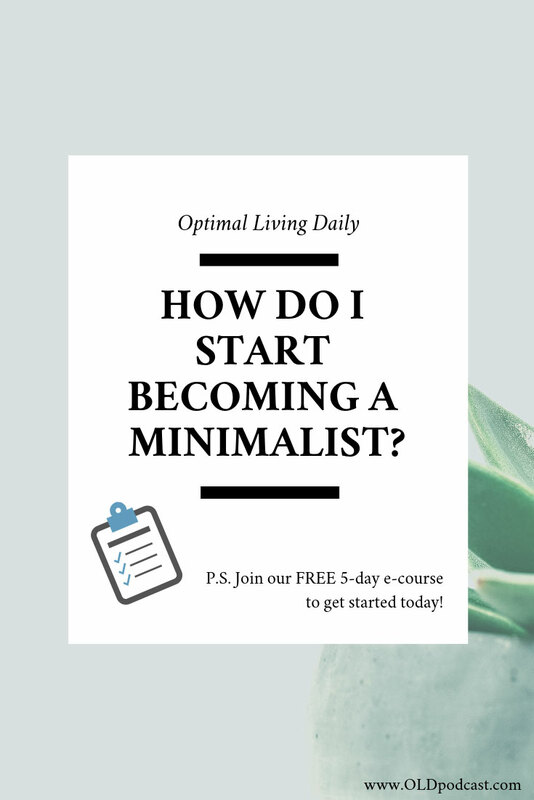 How Do I Start Becoming a Minimalist? You’ve heard about downsizing and becoming minimalist a countless number of times. You know you want to try it out to see if it’s a lifestyle that truly works for you. But first, what exactly is minimalism? Listen to Justin address this topic on Episode 920 of Optimal Living Daily. The key word is being “intentional” about the process. Minimalism isn’t about downsizing to the smallest house you can live in, or competing with your friends and family (or online strangers!) about who has the least amount of stuff. Minimalism isn’t about forgoing every single item in your life either. Rather, it’s about embracing the concept of living with less. When there’s less clutter, you’re able to spend more time and energy on meaningful activities which enhance your quality of life. It’s about creating space for what’s important in your life, so that you’re fulfilled by what you value. Seeking easy ways to begin? Join our free 5-day email course to start minimizing today. Meet Madeleine Olivia, a blogger who’s committed to simple and sustainable living. In this video, she shares her top tips for getting started with minimalism. Madeleine’s first tip — to “take it easy” — is especially vital to keep in mind for minimalism newbies! It’s a gradual transformation and that’s okay. You want the changes to be lasting and not simply a short-term result from a random weekend project. 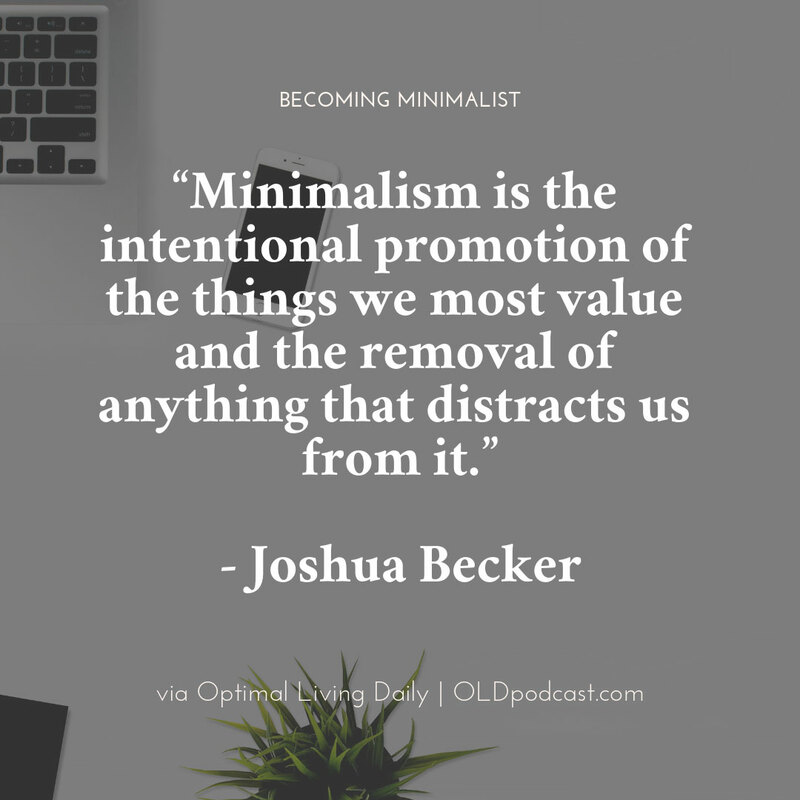 Remember that defining what minimalism means will help you discover how to incorporate it into your daily life. The next question to ask yourself is why you’re interested in minimalism. Is your work desk always messy? Do you have to waste minutes or hours of your life searching for items? To quote Dave Ramsey, do you suffer from “stuffitis?” It’s a condition where you’re unable to live without buying more and more stuff. Wanting to get your family on board with minimalism may also be a big reason. A house doesn’t clean itself, and maintaining a neat and tidy home doesn’t come about magically (unless you’re Mary Poppins). 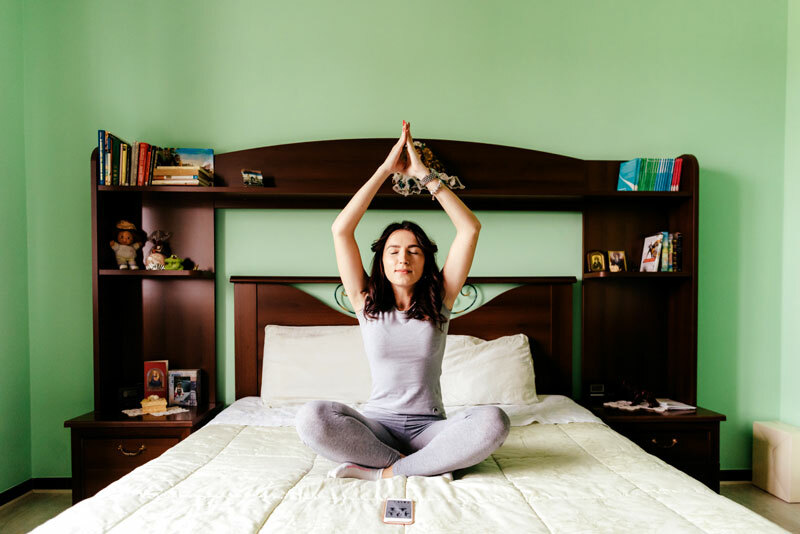 If you can encourage or inspire your family to view upkeeping an organized home environment as a team effort, you’ve won a big part of the battle to conquer clutter. Once you’ve defined why you want to begin your minimalism journey, the next step is to decide on a specific area you’d like to focus on. Take a moment to review your life. It may be the messy areas of your home that are causing you the most amount of stress. It could be a makeup or magazine collection that you just can’t seem to downsize. Or it could be a feeling that you don’t have your spending under control. Focusing on things one step at a time will keep you from feeling like you’ve taken on too big of a task with your minimalist ambitions. Starting a bullet journal is a fun way to stay organized. The bullet journal was created by Ryder Carroll, a digital product designer and author living in Brooklyn, NY. Kat from Zen of Planning has a lovely series on how to get started with bullet journaling. 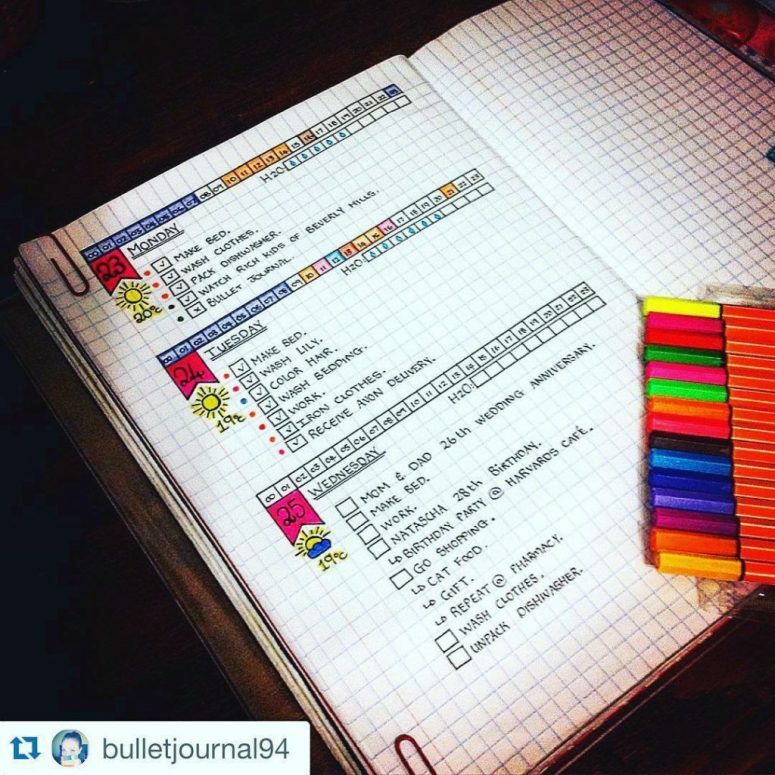 Use the bullet journal to keep track of what you’re decluttering. After all, writing down your goals helps you to succeed in achieving those goals! You’ll gain more momentum and confidence once you see the tangible results of simplifying your life. As for “when” to get started, the best time to begin — as with any project — is now! Remember that your decluttering journey isn’t a competition. It’s a personal journey for everyone, and everyone will be coming from a different background with a different set of habits and intentions. If you’d like a step-by-step guide on how to get started, our 5-day ecourse has been designed for you.